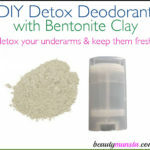 Homemade Deodorant for Sensitive Skin - beautymunsta - free natural beauty hacks and more! 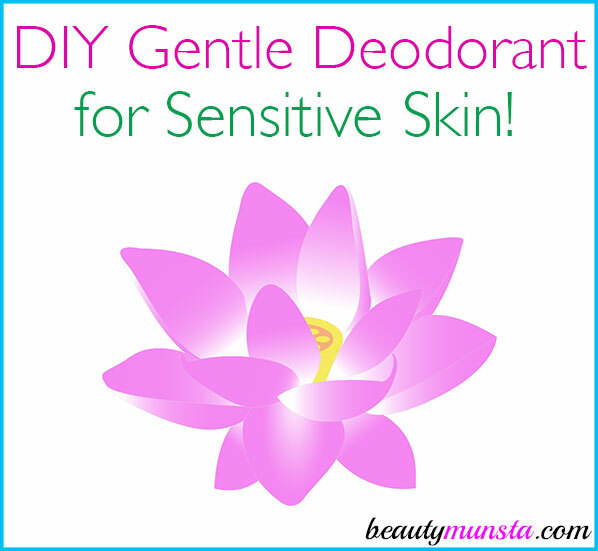 Making this gentle and soothing homemade deodorant for sensitive skin! 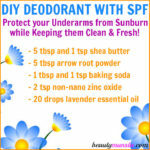 Sensitive underarms can get easily irritated by commercial deodorants. But they can also be sensitive to homemade deodorants! That’s mainly because of ingredients like baking soda. 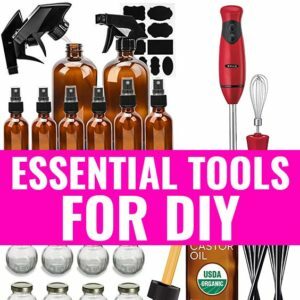 Fortunately, I’ve seen recipes for homemade deodorant for sensitive skin cropping up and they do work well! Here’s my personal recipe that you can use without worrying about small bumps, burns or redness! Melt the shea butter and coconut oil in a double boiler over low heat. Once melted, remove from heat and let it cool slightly for about 2 minutes. 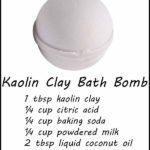 Then add the arrow root powder and bentonite clay or kaolin clay. It’s now time to get out your immersion blender! Blend thoroughly to get a creamy mixture. Now add the essential oils and blend again. Your mixture is ready! Pour it into your deodorant container (make sure the mixture is not hot to prevent the plastic from melting!). Let it set for 20 minutes in the refrigerator before use. 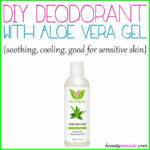 Your homemade deodorant for sensitive skin is ready! Store in a cool, dry place away from sunlight. During the summer, replace the coconut oil with shea butter to prevent your deodorant from melting! 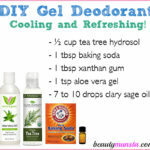 Are your ready to try out this homemade deodorant for sensitive skin? Let me know your thoughts in the comments below!